Lamb dressed as Mutton: Bread (and Red Nose Day)! I have finally finished my dissertation today. I wanted to celebrate and the only thing I could think of doing was baking. I know, I'm 80... There is nothing better than fresh bread. Anyway I decided to make Paul Hollywood's eight-strand plaited loaf. I have made it before so it wasn't as scary as it may sound. You can use his recipe here: eight-strand plaited loaf. 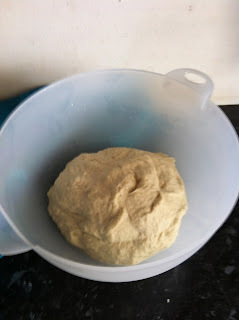 I started off by making the dough. It was a pretty simple dough to make. I was worried that I used too much oil as I was kneading it, but actually it worked alright. The next step was to let it prove in a bowl. I left mine for about an hour and a half, but I'm sure one hour would have been enough. Once it had doubled in size, I knocked it back and split it into eight balls to make the eight strands of the plait. I weighed the balls so they were equal, but it would be just as good to guess. The next step is to make the plait. Don't be daunted when you read the instructions. Keep calm and do EXACTLY as he says. Pulling it tight will help to keep it neat and hopefully you should start to see a pattern emerge. As you can see, towards the right hand side of the picture it has got a bit loose. If I were to do it again, I would ensure it stayed tight right until the end. It was then proved for another hour and then it was time to cook it. It has a lovely golden crust and it tastes great. I am so pleased with it. I would have hoped for a slightly harder crust, however I think that was the result of using a student oven. I know I have made this before, but I was still apprehensive about making a loaf from scratch. This loaf however looks impressive and has given me confidence to try something more exotic. Hopefully you will have the same positive results. Let me know if you decide to give it a go. PS. 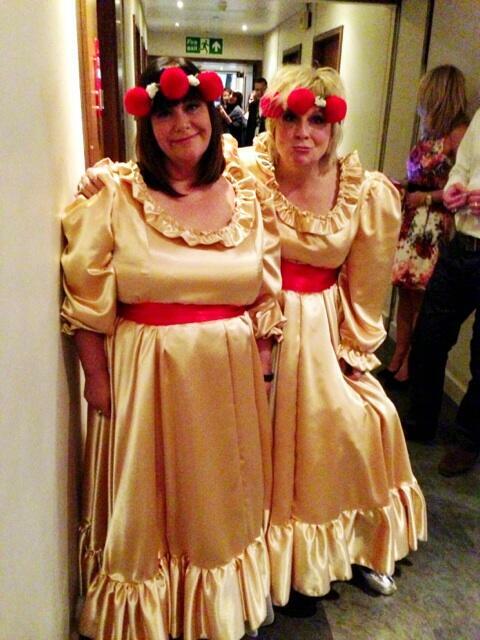 Red Nose Day happened last weekend and it was brilliant as usual! I dyed my hair red and I baked some treats for my housemates. I think I have raised about £190 which I am so pleased with. Overall Red Nose Day raised over £75 million which is their biggest total yet.